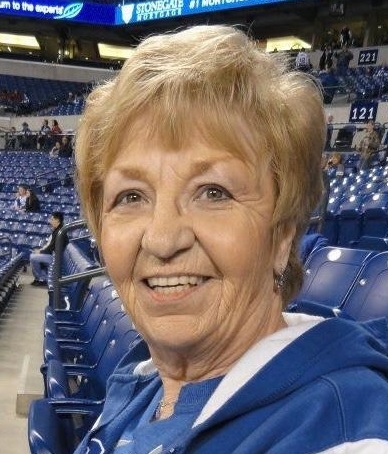 Obituary for Maria Knezevich | Zahoran Funeral Home, Inc.
Maria Knezevich, 81, passed away Sunday, February 10, 2019 surrounded by her family. Maria was born on September 30, 1937 in Mileticevo, Yugoslavia to Very Rev. Djuro and Ljubica (Radulovich) Vuckovich. She retired from 1st Source Bank, was a member of Sts. Peter & Paul Serbian Orthodox Church, the Aleksa Shantich Choir, Circle of Serbian Sisters and SNF # 174. On September 16, 1972 she married Michael Knezevich. He died on December 5, 1987. Maria was also preceded in death by a stepson Michael Knezevich and a brother Robert “Bozo” Vuckovich. Surviving are 2 stepdaughters Sherry (Bud) Strahla of Argos and Mary (Ron) Kimsey of Crothersville, IN, 4 grandchildren Kelsey(Jacob) Western, Riley Kimsey, Samantha Kimsey and Brooke (Konrad) Miller, a great-grandson Noel Michael, sister Vera Vuckovich of South Bend, brother Michael "Bato" Vuckovich of South Bend, nieces Bianca “Beba” (Jason) Koski, Briana “Seja” Vuckovich, and Mileva “Kosa” Vukovich, a great-nephew Brayden Michael Koski and great-niece Brielle Koski and numerous Kumovi. Funeral services will be celebrated at 11:00am on Thursday, February 14, 2019 in Sts. Peter & Paul Serbian Orthodox Church. Burial will follow in Sacred Heart Cemetery. Family and friends may call from 4-8pm on Wednesday in the Zahoran Funeral Home, 1826 Kemble Avenue where a prayer service will be recited at 7:00pm. In lieu of flowers memorial contributions may be made to Sts. Peter & Paul Serbian Orthodox Church or Aleksa Shantich Choir. To leave an online condolence, please visit our website at www.zahoran.com.